The gray air was back this morning, just in time for our final exams. Appropriate, if you ask me. 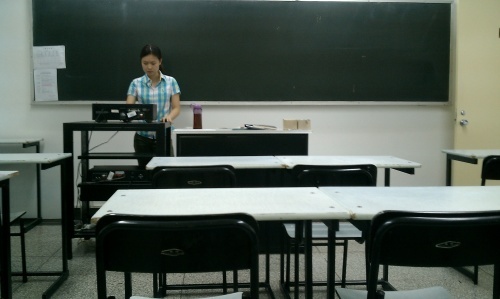 Our program had three classes (listening comprehension, speaking and reading) and thus three finals. As I have said before, the classes were hard. The finals were no different, and I went into them resigned to fail each one. Our listening comprehension final took place last Thursday. I’m still convinced that the teacher didn’t tell us about it beforehand, but then again, in the past I had misunderstood at least two (out of 4) homework assignments in that class. For the final exam, I was shooting for anything above zero—and I did it! 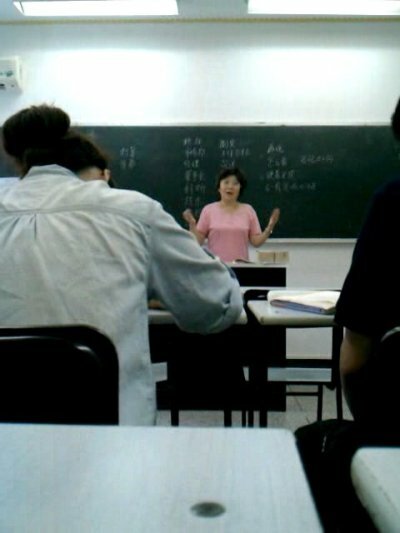 I don’t think I passed, but for me the point of coming to China was to improve, not to pass a test. So I guess you could say I succeeded. The kouyu (speaking) test went a little better. It was hard, but I at least had some idea of what to expect. I had to describe the New Year’s celebration traditions in the US. After that I had to read a short passage out loud and the teacher was supposed to ask me some questions about it. When I finished, however, the teacher made an excuse that we were out of time and that I could go. I am convinced this was a polite way of saying “that wasn’t very good.” In other words, she helped me save face by not asking any questions. I appreciated this. 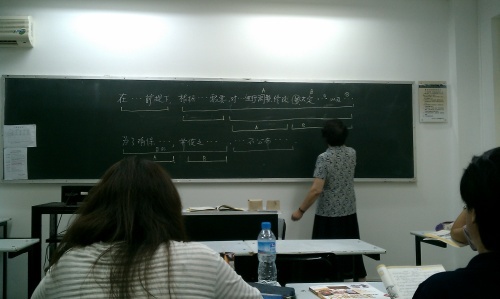 I would have had a difficult time with anything she asked, and to be honest, it’s not the most embarrassed I have ever been on a final exam (the worst was a funk guitar final that Tomo Fujita gave me five years ago—at least this time, I knew I wasn’t prepared). The third test was the reading test, and I’m glad it was last. It was a challenge, but I realized during the test that I had actually learned quite a bit during the three weeks of class. There were still quite a few words I didn’t know, but I was able to answer all of the questions, no small feat for me. It was a nice way to finish. I could leave BLCU with a sense of accomplishment, and , believe it or not, this afternoon the sun came out and burned off the gray haze. Great finish!